On the 24th of April, USTDA (the US Trade and Development Agency) awarded a grant to Terminal Fluvial Andalucía S.A. (or "TFA") for a feasibility study to determine the technical and financial viability of a new inland river port along the Magdalena River in Colombia. The feasibility study will also include the preparation of preliminary design documents for the river port. This US$ 550,000 grant cannot be regarded without reference to the US-Colombia Trade Promotion Agreement that recently entered into force. TFA, a recently formed member company of Grupo Puerto de Cartagena (GPC), plans to build and operate this port along the Magdalena River, which would function as a feeder to the Port of Cartagena, operated by GPC's flagship company, Sociedad Portuaria Regional de Cartagena (the Port Company of Cartagena or "SPRC"). This new river port will be located on a 365 hectare terrain near Gamarra, approximately 496 kilometers upstream from Baranquilla. The Port of Cartagena is known to be Colombia’s major shipping hub, also for the Caribbean as a whole. SPRC and its sister facility Contecar (Terminal de Contenedores de Cartagena) have experienced a considerable growth in the past decade. The total tonnage volume is expected to reach 11.98mn tonnes in 2012. Deficient and limited infrastructure is considered to be the premier obstacle for further growth. At the moment, almost all cargo that passes through the Port of Cartagena is transported to and from the interior of the country via the national highway network. A diversification in the transport routes, an improvement of efficiency in the movement of heavy goods, an extension of capacity, a less risky way of ground transport, and reduction of cost and environmental impact are all very much needed. The Andalucía Port might well provide a solution! The tender, being an USTDA financed activity, will be open to US firms and individuals only. They are allowed though to use Colombian subcontractors for up to 20 percent of the USTDA grant amount. The feasibility study will also address the engineering, technology, and equipment needs necessary for the development of a first-class and cost-effective port that will handle containers, vehicles, and solid and liquid bulk commodities. But there is more. The policy of President Juan Manuel Santos is to have the Magdalena River waterway navigable. For this Cormagdalena, government agency tasked with the management of the river, created a channeling project from Puerto Salgar to Barrancabermeja. This is a stretch of 256 kilometers. The works, which will cost US$ 400 million, are intended to take action to protect the banks, channeling and other measures of fitness, all to maintain the river channel navigable all year round, to a minimum depth of 8 feet. To that end, there would be permanent cargo on the river, with a capacity of up to 7,200 tons, which is equivalent to 240 trailers, one behind the other. Several tenders are expected during 2012. 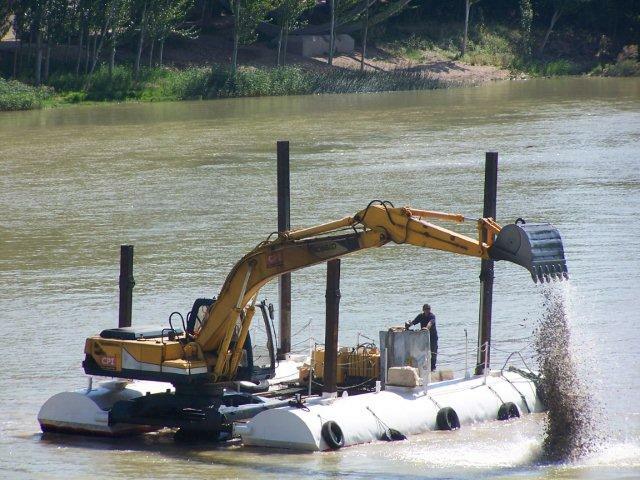 Foreign inland navigation specialists, dredging companies and suppliers could profit. Would you like to know more about these developments, please do not hesitate to contact us.